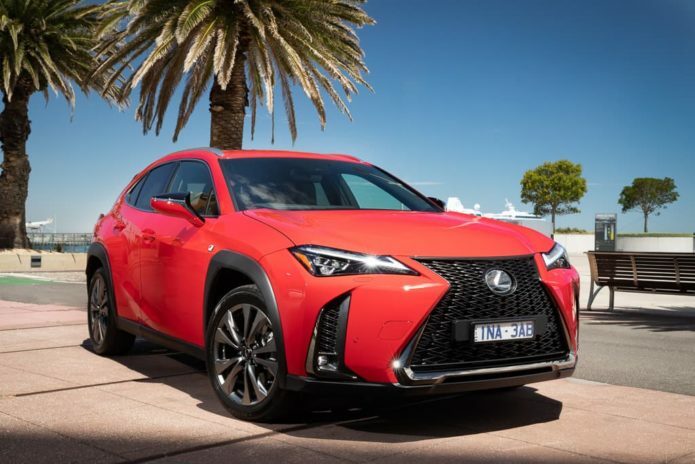 Lexus has launched its smallest and cheapest SUV in Australia, the all-new UX priced from $44,450 (plus on-road costs). Based on the Toyota C-HR (and also the Corolla), the Lexus UX is available with conventional petrol or petrol-electric hybrid power, three levels of trim, and front or all-wheel drive motivation. Well equipped, and featuring the latest safety technology, the Lexus UX will rival light prestige SUVs including the Audi Q2, BMW X1, Infiniti QX30 Mercedes-Benz GLA-Class, MINI Countryman and Carsales 2018 Car of the Year, the Volvo XC40. The arrival of the Lexus UX – or Urban eXplorer – in Australia may not have received the attention it deserved.